Yes, you can spend thousands upon thousands of dollars for a Disney Vacation, but you can also make it quite affordable. A little advance planning can save you a bundle! Booking your vacation will be less stressful if you have a good amount of money set aside. Since most of us are not lottery winners, its best to start saving as soon as you think you're going to plan a trip. The following are some suggestions to help you find that needed cash. If you have a local Disney store, start a Disney gift card where you can add your savings as you go. This way you won't be tempted to spend it on something else you want. If you don't have a local store you can buy them online from the Disney Store. I would wait until you have a good amount saved, say $500 to get each card if you are purchasing online, as you can't add additional funds to those cards unless you take it to a Disney Store. This way you aren't trying to keep track of too many cards. Have a Disney Bank where you can put all your spare change or even that extra dollar you find in your pocket at the end of the day. We have ours on our kitchen counter. Every time we find a spare dime between the couch cushions, or on the floor, we put it in the box. If you have a Disney themed bank, even better! You can even use a basic shoe box, and have the kids decorate it with Disney stickers and print-outs. Every so often, cash this money in and add it to your Disney gift card! Start using coupons at the grocery store. Cut them out of the paper, or print them online and take them to the store. Most stores' receipts will print out at the bottom how much you have saved. Take that amount and add it to your savings. Do you or your kids do the occasional odd job around the neighborhood? Having your kids add even a small percentage of their baby sitting, lawn mowing, or pet sitting income, say 20%, or even the entire amount to the vacation fund can teach them the value of saving up for something fun. Even if they don't contribute to the actual cost of the vacation, its good to have them save some of their money for the souvenirs they will want to buy once you are there. If your child has a birthday party, or even for Christmas, instead of asking family and friends to buy lots of toys, they can put money toward a Disney gift card that your child can use for their purchases in the parks. Have a garage sale! We join the neighborhood wide garage sale every year, and usually put this money toward our vacations. It encourages you to clean out unneeded items from your home, and can add a few hundred dollars to your vacation fund. Rebates, especially the gift card kind, can be added to your fund. In the past few years, a lot of rebates are in the form of Visa gift cards. These have a lot of rules and it can be tricky to use all of the money on the card. You can use those cards to purchase Disney gift cards online in the exact amount of the rebate. This past year we switched TV and Internet providers, and received a $275 rebate in the form of those tricky rebate cards. I was able to purchase my Disney gift cards and use that money toward our Disney Dining Plan purchase. This money saver is so big it deserves its own heading. This Visa card from Chase bank is available in several cute designs from Tinkerbell to Nemo. The card has no annual fee, and you often get either a gift card or credit after your first purchase with the card. There are often several offers available at once so sometimes it is a good idea to search around. I find that on the Disney parks website, there is often an offer for a $40 credit with first purchase. Try this link to find the $40 credit. Once you begin using the card, you get 1% back in Disney Reward Dream Dollars. Sometimes there are promotions that can earn you 3% or even 5% on purchases in certain months. You can then transfer these Dream Reward Dollars to a special gift card you can use to book your vacation, make purchases in the parks, or at the Disney Store or Disney Store Online. There is also a Disney Visa Debit card, but you don't earn as much or get the in-park discounts. The card has several nice perks. The first of which is that you get 6 months interest free on vacation package purchases. If you can pay off the balance in that 6 months this can be very helpful. Be careful to pay it off however to avoid interest. You can get 10% off purchases of $50 or more at the Disney Store, Disney Store online, and Disney owned stores at the parks. A card holder only meet and greet at both Disney's California Adventure at Disneyland Resort, and Epcot at Walt Disney World. You and up to 5 guests (I've brought in more) can have a private meeting with one or more Disney characters. You then receive a voucher for one complimentary 5x7 inch Photopass print of your choice from the photos taken by the Photopass photographer during your meet and greet. 20% discount on selected Disney behind the scenes tours at both Disneyland and Walt Disney World. At Disneyland in California you also get 10% off at many dining locations. A Disneyland Hotel discount package is often available. 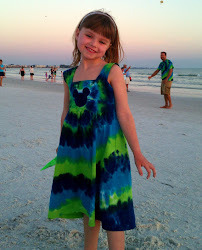 Occasional Disney Visa Cardmember only vacation package promotions. Sometimes these deals are only for card holders, and sometimes they will be open to the public, but Disney Visa Cardmembers have early access to booking, and therefore the most availability. A quarterly newsletter with occasional limited time only promotions such as discounted tickets to Mickey's Not So Scary Halloween Party, Mickey's Very Merry Christmas Party, or Disney Broadway shows such as Mary Poppins. Know what deals are available before you call if you are booking on your own, Disney will not "help" you by offering discounts unless you know to ask. For current deals, sign up for the MouseMisers mailing list, to get an email when new discounts are released by Disney. Visit Mary Waring's excellent website MouseSavers to see the latest available discounts. I also recommend signing up for her monthly newsletter. If you book a Disney vacation, and then a better Disney discount is made available, you can rebook at the new better price just by calling and asking. If using a travel agent to book, a Disney specific travel agency is best, even more so than your local travel agent who is "A Disney Authorized Vacation Specialist". Try Small World Vacations. Agencies that specialize in Disney will know to look for deals even after you have booked and will rebook you if any better deals come along. Your local agent probably won't be looking for that. If you are active or retired military, Disney's Military Salute tickets and discounts can be a huge savings. Florida residents also can get special deals. Don't even think of trying to book a Florida resident deal if you are not. Disney is not stupid, and you WILL be required to show ID. 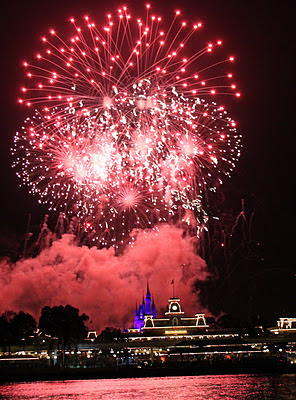 Disney Vacation Packages usually include room and park tickets. You may include the Disney Dining Plan if you wish. There are usually requirements for length of stay, and number of days of park tickets you must purchase. The frequent Free Dining promotion usually requires at least a 3 night stay, and the purchase of 2 day Magic Your Way base tickets. Even though you are paying full price for your room and tickets, you are getting free meals, so this is still a great deal. Some discounts are room only discounts. These give you a flat percentage discount on your room rate. They can be booked independently of park tickets. If you are booking a room only discount, do not buy your tickets from Disney, you can buy them at a small discount via Undercover Tourist. If the promotion you are interested in extends into the blackout period, this is okay as long as your check-in day is part of the promotion. You will continue to receive the promotion into the blackout period. If you are booking far in advance and there are no deals available, just book your room and wait to see if discounts are released. Once you know if there will be an available deal, you can change to either the discount package, the room only discount and purchase your tickets from Undercover Tourist, or if no discounts you can keep your room and still purchase your tickets from Undercover Tourist. Although the savings are not large, Undercover Tourist can save you $5-$20 per ticket.They are a well established official ticket broker that receives its tickets direct from Disney. To get the best deal out there on tickets, sign up for the MouseSavers Newsletter. Once a month the newsletter is delivered to your email, and has a special link that will take you to the MouseSavers discount page at Undercover Tourist and you can save even more. You may think you can find a better deal on tickets, but I assure you, you can't. Undercover Tourists prices include tax and free shipping, most other ticket brokers have hidden taxes and shipping costs hidden in their prices. NEVER buy partially used tickets from any broker or off eBay. More than likely you are getting scammed. Skip the rental car. That alone will save you several hundred dollars. Use Disney's Magical Express, and utilize the free buses, boats, and monorail throughout the Disney resort. If you want a car for a one day jaunt to Universal or the beach, consider renting the car for only 1 or 2 days. Both Alamo and National car rental companies have locations at the Car Care Center. They will pick you up at your resort and take you to the Car Care Center to process your rental, and they will also return you to your resort after you return the car. For plane tickets, consider flying on off days. Generally Tuesdays and Wednesdays offer lower rates, sometimes as much as $100 per round trip ticket. You can fly in on a Wednesday and out on a Tuesday and a family can save hundreds of dollars over flying on the other days. Know that Southwest Airlines does not list its rates on outside sites such as Travelocity, Expedia, Orbitz etc.. Go directly to the Southwest Airlines website and check fares when comparing all the airlines to find the best price. Also take into account the differing prices per airlines to check any bags. Southwest does not charge for bags, and Jet Blue gives you the first bag free. If your local airport is a hub of a major airline, that will often have good fares. Once you think you know what airfare you are interested in, you can see if Disney can sometimes get you a better deal if you book it with your room/package. Sometimes, especially with Delta or Air Tran, Disney can save you a little bit more on each ticket. Consider purchasing some items before your trip to save you money at the parks. Buy glow sticks for the kids so you don't have to buy the expensive glow toys they sell during the evenings. You can often find them in the Target dollar section, Michael's craft stores, and Dollar Tree stores. Water spritzer bottles with the little fans on them to keep cool. You can usually find these at Walmart or Target. For the past 3 summers Walmart has carried them in the fan section for around $7. They run $15 in the park. We put Disney stickers on them, or decorate with sharpies. If you are going in the hotter months, these are great both for staying cool, and for keeping the kids entertained while waiting for parades and the like. Disney T-shirts from the Disney Store or Disney Store online to give to your kids on arrival and spend a lot less than the in-park prices. Stock up on any other Disney Store items you may want for the parks such as sun glasses, new pajamas, or water bottles. Your kids still can feel excited about getting new Disney things on vacation, while saving some big bucks. Reusable water bottles you can refill in the parks. Also buy some individual bottle powdered drink mix as some people do not like the taste of Orlando water. Inexpensive disposable rain ponchos from the dollar store or drug store. The Dollar Tree generally caries a two pack. Buy enough so everyone has 2 as they are difficult to refold and reuse. They are small enough to carry in your bag, and you can save big bucks over the ones they sell in the parks. Take note, it often rains in Orlando almost every afternoon, albeit a short storm. You can consider buying some inexpensive snack and food items that travel well such as granola bars, oatmeal packets, powdered drink mix and dry cereal and either pack in your suitcase or ship a box directly to your Disney resort to be there when you arrive. Eat breakfast in your room with quick and easy things such as cold cereal, instant oatmeal, pop tarts, granola bars, Quaker oatmeal squares, bagels, etc... This will save you both time and money since the early morning hours are the least crowded time of day in the parks. Pack some of these inexpensive snacks to take into the parks with you. Freeze water bottles overnight in your mini fridge (all resorts but values have them), and bring them to the parks with you. You can get a free glass of ice water at any Disney quick service location just by asking. Fill up that water bottle! While you cannot bring hard sided coolers into the parks, you can bring a soft sided cooler. You can always pack sandwiches and drinks to bring with you and skip the park priced lunches. Just note you may not bring anything with straws into Animal Kingdom Park as they are dangerous to the animals. Considering ordering one of the larger counter service meals and sharing between two people. Food portions at Walt Disney World are quite generous. For example, at Cosmic Rays Starlight Cafe in Tomorrowland, the 1/2 chicken and BBQ rib combo meal is really plenty for two. If there is a nicer restaurant you have been wanting to eat at, lunch is almost always cheaper than dinner and the menus are usually similar. If wanting to do the least expensive character meal, book a meal for the last breakfast seating. Breakfast is always less expensive, and you can still get several hours of good touring in before the crowds arrive. Kids meals can be very generous. Save the side of grapes or cookies in your cooler to serve to your child as a snack later rather than purchasing one in the parks. While more expensive than refilling water bottles, the resort refillable mugs can work if you are a big soda drinker. The cost of the mug is around $14 unless it is part of your dining plan. If you fill your mug on the way to the park in the morning, and when you return at night, even a 5 day trip got you those drinks at only $1.40 each. We tend to fill on the way to the park in the morning, on arrival back in the afternoon for our rest, back to the parks in the evening, and then again at our return. I average 20-30 refills per trip. Its a good investment for me, and when I return home I have an extra souvenir! Disney really can be an affordable trip for many families. Again, a little planning and saving can make that price tag more manageable, and save you some stress in the process. Save those pennies everyone!